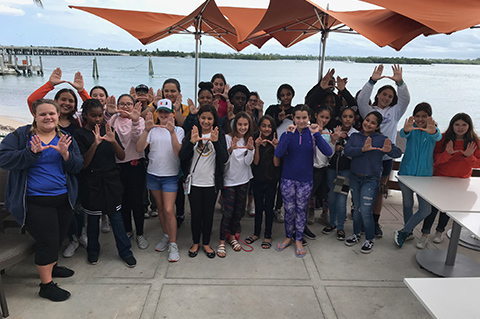 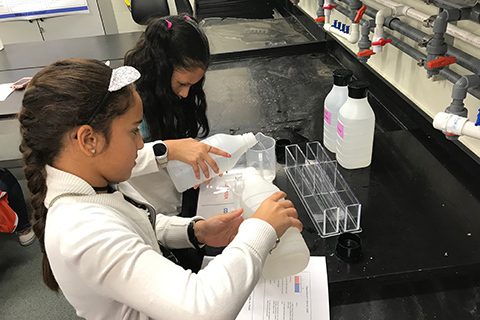 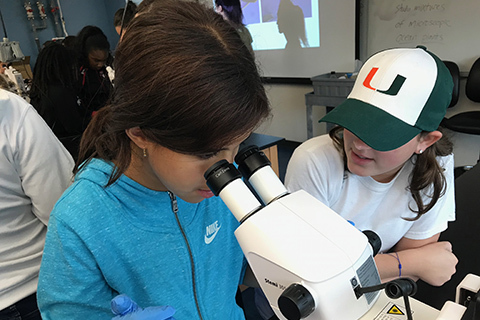 The Rosenstiel School collaborates with the American Association of University Women (AAUW), Consortium for Advanced Research on Transport of Hydrocarbon in the Environment (CARTHE), and Miami-Dade County Public Schools annually to host a day of interactive learning for 6th and 7th grade girls. 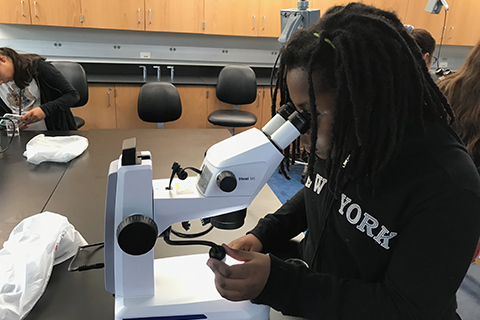 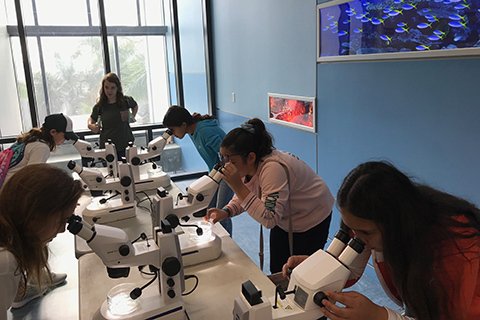 On the day of the event the girls will visit marine science laboratories, participate in hands-on research projects, and interact with female scientists from a variety of different fields and backgrounds. 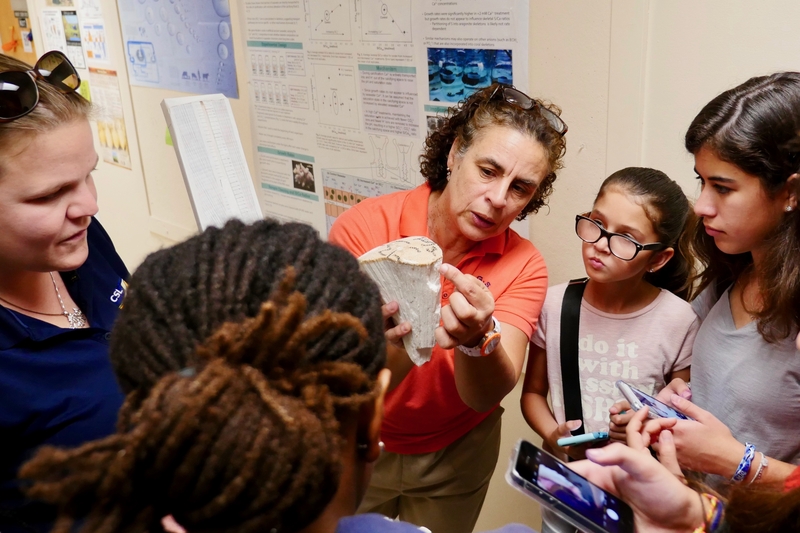 This event was founded by Dr. Rana Fine, faculty member and Professor of Ocean Sciences. 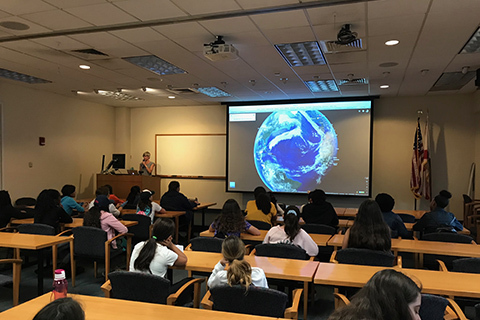 Exploring Marine Science Day 2018 was held on November 17th. 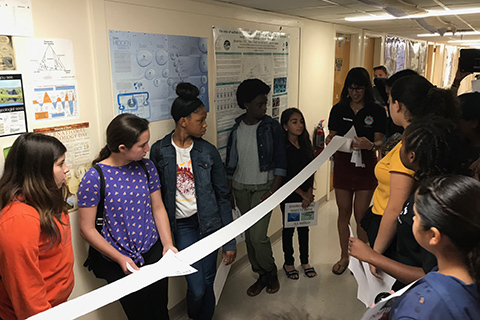 Space is always limited.